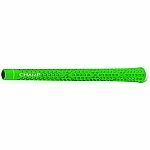 Champ C1 putter grips are made from a super soft, super lightweight polyurethane material that offers great feel. 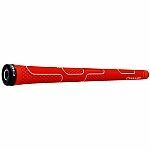 The diamond and line grip pattern gives extra control making it a true â€œanti-slipâ€ putter grip for all seasons. 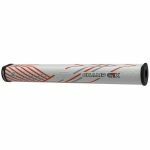 The new Champ C1X putter grip features a new flat-front, parallel shape helps to stabilize putting strokes while encouraging proper grip pressure. The Champ C8 is made from a new optimum feel TPO material infused with Kevlar for greater torque control and incredible wear resistance. A special tacky compound creates a non slip feel during all weather conditions and an anti shock wrap provides a comfortable feel and excellent shock absorption.